That’s an inscription I use when I autograph some of my Nina Quinn books (A Hoe Lot of Trouble, et al), and I love the connotation behind it. That one should look deeper than what’s on the surface and that beauty is in the eye of the beholder. Plenty of metaphors to be had for life, for love, for friendships. That being said, when it comes to the actual garden...I’m not all that fond of weeds. We have some prickly weeds that have the most tenacious root system I’ve ever come across. And chickweed. Ugh. It's everywhere. And then there are the dandelions, with their flirty white puffs. Love them in the wild. Hate them in my garden beds. Every year, I tend to add more perennials to my garden. Some survive, some don’t. The thing is, I can never remember what I planted and where. So come spring, it’s quite the conundrum trying to figure out if what is sprouting is a weed or a perennial. So, I let them grow. And grow. And grow. And sometimes what blooms is a beautiful flowering plant (like this year’s lobelia), and sometimes...it’s obvious it’s a weed. But sometimes when that weed isn't easily recognizable (dandelion, dreaded chickweed), I let it keep growing just to see what it turns in to. Because sometimes weeds are wildflowers in disguise. I was rewarded this year. The two-foot tall weed that grew produced delicate yellow flowers (no idea what the weed is). For a while, that yellow was the only color in the garden and never failed to brighten my day. It didn’t take long, however, for the weed to start to wither and flop over. I pulled it out, but you can bet that next year at this time I’ll be looking for it again. The chickweed, however, is a goner. How about you? Do you ever let your weeds grow? Unfortunately I only have a balcony, which is pretty much weedless. 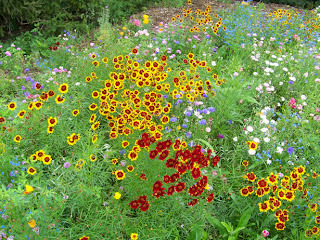 If I had a garden I would like to have a designated spot for wildflowers and weeds. Some of them are really pretty! I am not a gardener AT ALL, though my sister has a very green thumb. We've had 'shrubs' for 21 years in this house. But now that we are ready to sell, we had a landscaper come in. They knew what would prosper in what spot. I have flowers now! I love them! And will soon be leaving them. Sigh. But you can bet, our new house WILL have flowers. I have a lovely perenial bed inside my picket fence. However, as a beginning writer, I am more interested in 'word count' than 'weed count'. They flourish in my yard! LOL, Yummers! I've been way too wrapped up in word count lately. Am looking forward to the weeds. I am not a green thumb at all so mostly what we have are left from what the old owners of our house had. We take care of them and keep them looking pretty but much more than that I don't know if I can handle! But we got a surprise in our bush outside our bedroom window, three beautiful baby birds! Love watching them! So does our little girl kitty! She hates that there is glass keeping her from them!!! Love that inscription, Heather. 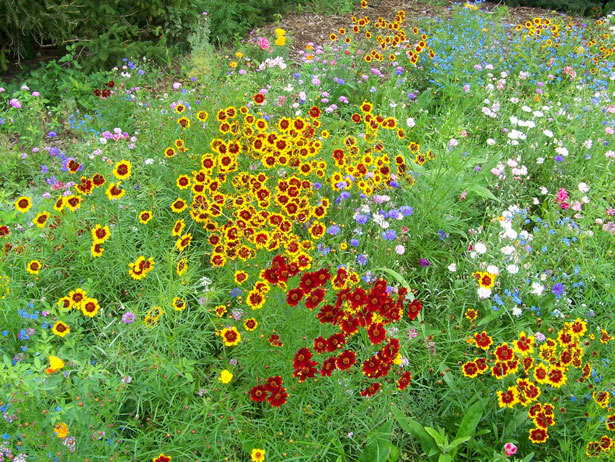 "May all your weeds be wildflowers." That is very sweet. Totally get where you're coming from with the waiting game to see what's coming up. When I had a garden in the past,..Sometimes I would let the weeds grow, and sometimes it was time to pull them. Im reading the Nina Quinn books, and really enjoy them!